Spoiling Yourself With New Electric Gates? The entrance your property is intended to be functional, ideally with a set of gates that makes it easy for you to enter and leave. 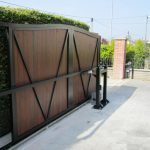 Going beyond anything other than an ordinary pair of functional gates may seem extravagant and to have some quality, long-lasting electric gates installed may seem like you are spoiling yourself. Here at TPS Electric Gates & Doors Ltd we would tend to disagree, even though there is potential for a little bias on our side of things! A new set of metal electric gates or wooden electric gates is not a luxury, it is an investment in your property and also an investment in your own personal safety and that of your family. There is no question that an impressive pair of electric gates at the entrance to your property will set the tone and atmosphere for where you live, yet not only will the gates look good, they are of tremendous benefit from the aspect of security. Once electric gates are closed, they will not accidentally swing or slide open as can happen with manual gates that are not correctly closed. 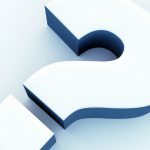 If you have dogs or young children, what price do you put on peace of mind? In the same vein, it is never any fun returning late at night in the pouring rain and having to get out, open your entrance gates, get back in the car, drive through the gateway, get out of the car again, close the gates, get back in your car again and then drive into the garage. Installing remotely operated electric gates is a simple solution to an annoying and frustrating problem. If you have been thinking about installing new gates, why not give us a call here at TPS Electric Gates & Doors Ltd, especially if you live in or around Bristol, Bath, Gloucester, Cheltenham, Cirencester, Chepstow, Newport, Clevedon, and surrounding areas. We will be more than happy to come out, carry out a site survey and provide you with an accurate quotation for the cost of installing new electric gates, all free of charge.